CAN009 is a 284mL can of soup with the camera above the can looking down at 45°. 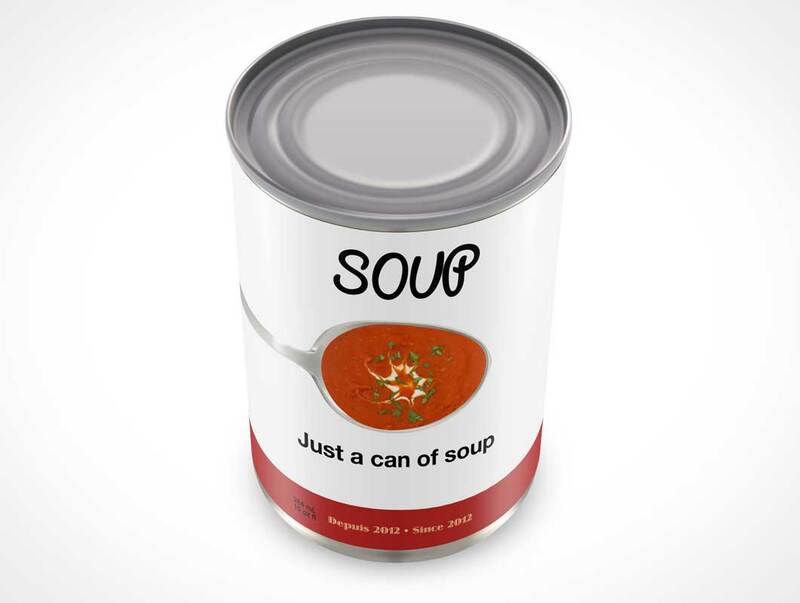 This PSD Mockup of a soup can is a typical tin can used to ship many types of canned foods such as soup — once the designers 2D artwork is prepared this Cover Action renders the artwork onto the can product shot and hands off the final render in the form of a new Photoshop document with fully editable layers. The background, shadows and highlights are easily modified to suit the needs to the designers specifications.